Contact | College Tire, Inc. If no answer, leave a message and we will promptly answer. 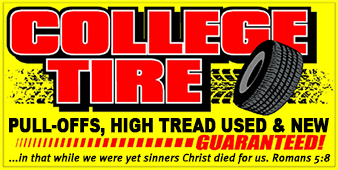 © Copyright 2014 College Tire, Inc. All Rights Reserved. by College Tire, Inc.